Stocking Michelin, Goodyear, Aero Classic, Specialty Tire, Air Hawk, Monster Retread and More. Customer Tire Retread available. MICHELIN® Aircraft is your trusted source of aircraft tires based on their value, their technology, and their performance. Tried and tested engineering you can have complete confidence in whether you fly piston-engine or turbine, recreationally or for business jet aviators. 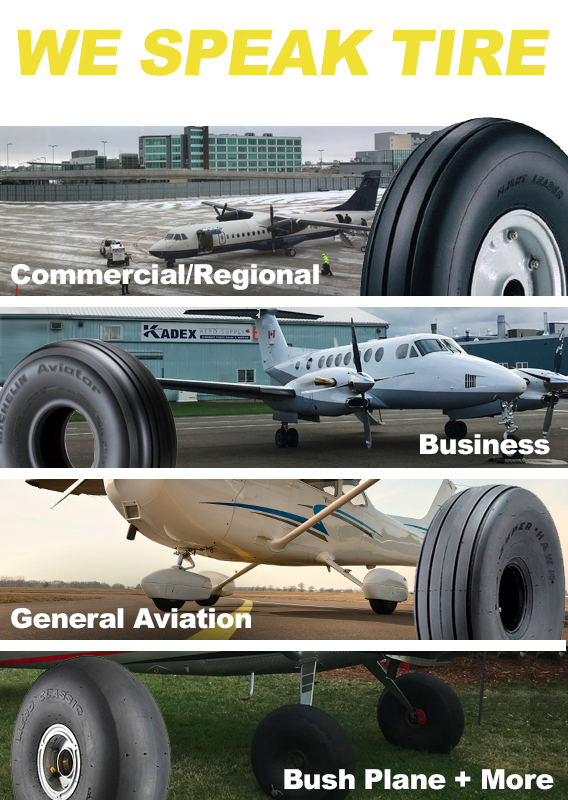 MICHELIN® AIR X® top-of-the-line tire is standard equipment on many aircraft models by leading manufacturers such as Cessna, Raytheon, Mooney and Dassault.